Abdulla took a couple of great pictures of my pots as they are being used at Lufkin coffee roasters. If you haven’t been there yet,you should def go! It’s a lovely little coffee shop with roastery in Pontcanna, Cardiff. They use my cups and also sell them there. It’s a year now since I have graduated and I have gained some valuable work experience in different Potteries. My first job was at Bridge Pottery, where I worked for Micki Schloessingk, and making own work such as a commission for Lufkin coffee roasters in Cardiff. This is Mickie’s beautiful studio that I was lucky enough to share. We fired our work in a 3 chamber Noborigama woodfired kiln. It took us almost a week to pack it and 3 days to fire it. The pots in the first chamber are decorated by the flames and ash, which adorn their surfaces. The second chamber is the salt chamber , into which we introduce 7 kg of sea salt at about 1280 degrees. In the third chamber, which gets less hot, we fired unglazed flowerpots. 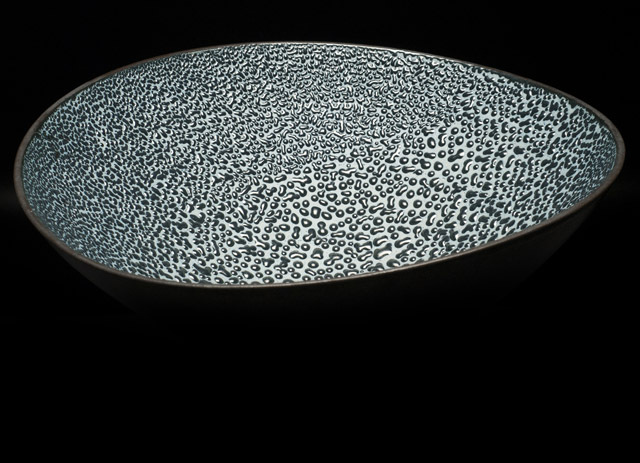 When I arrived at Tythegston Pottery I already had a clear idea of what my work would look like. When I wrote the previous post I had all intentions to write this one right the day after. However the days at Bridge pottery are busy and I felt so inspired from all the great work I saw in Hatfield that I spent every evening in the studio. I want to introduce three amazing female Potters who I met last Weekend. Ever since seeing their stalls images of their work returned to my inner eye. There are four things that make this work really extraordinary. The shapes, the glazes, the names ( I mean this one here is called: ‘If only she could remember what happened’), and the wonderful energy that Lindy radiates! Joan was very approachable and happy to share thoughts and tipps about glazes. She and her work made me want to visit Denmark. These pots certainly were the evening dress of the show. 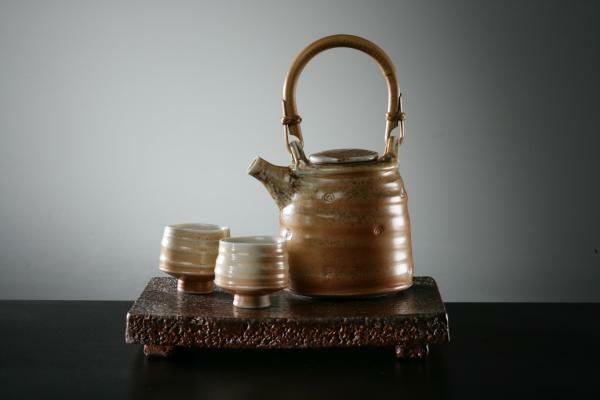 From traditional salt glazed stoneware to playful front chamber porcelain pieces. I loved all of her work and will hopefully visit her at her studio next summer. 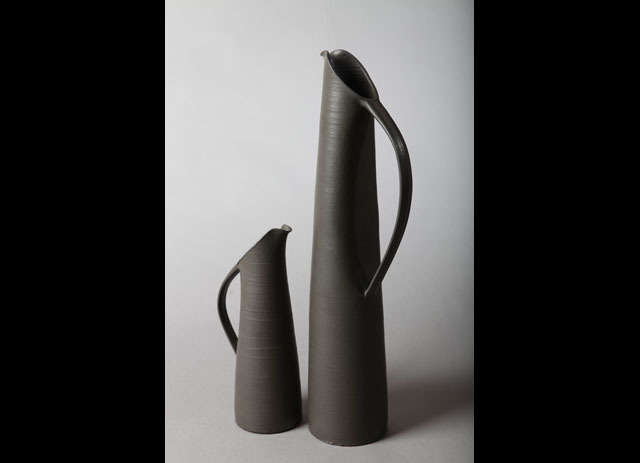 I have just returned form Hatfield Art in Clay, a three day long ceramics fair. Some of my old course mates from CSAD and I have shared a stall, where each of us had a little plinth, displaying our work. It was the first time I had participated in a show of this kind (as an exhibitor) and I saw it as a bit of a practice run. Sales were relatively slow for me, but I made enough money to cover the cost of the stall, which is nice. Nonetheless I have hugely benefited from the experience and learned a lot for future shows. The two main things I realised are that the display of the work is massively important and to offer things of different price ranges. Small “kiln fillers” like salt pots, spoons and particularly broaches and earrings sell very well. At the same time the production cost is realtively low because not much clay is used and the pieces can be slotted inbetween other things. That is important in a wood firing, where every inch in the kiln is precious. ( The cost of the wood for the firing exceedes the cost of the clay used to make the pieces). 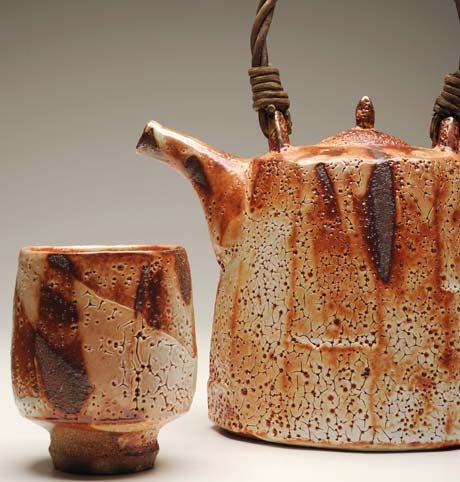 I particularly liked his use of different coloured slips ( red slip and porcelain slip) underneath ash glazes. 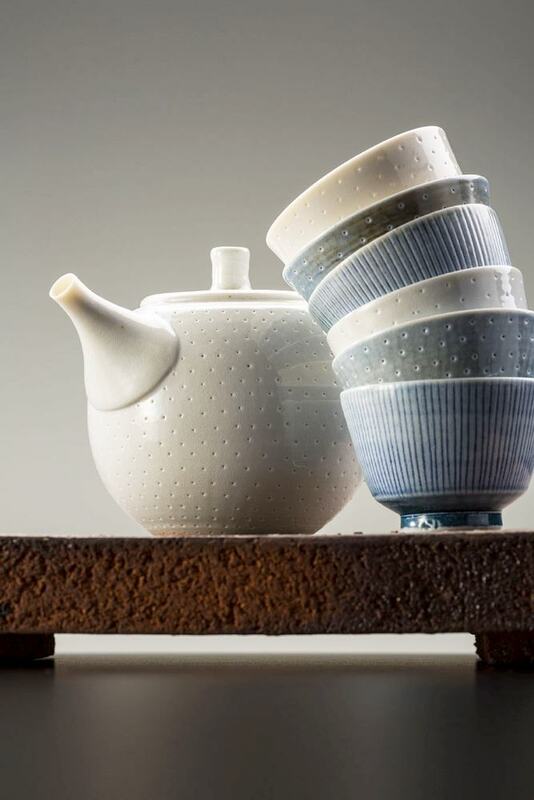 Like on these tea cups here the variety of colurs and textures, achieved in that way, bring the pots to life. I had seen him demonstrate at the ICF in Aberystwyth last summer and immidiately took a liking to his work. It’s quite different to my own pots but I really like the expressive brushstrokes and application of colour. This post will explain briefly the methodology of creative making I used in this project. Feeling of insecurity and doubt of work that subsequently resulted in a lack of trust in the authenticity of my self image. Questioning choices I have made. By concentrating on meeting expectations and demands from exterior sources one can lose focus of what they want and need themselves. -The personal quest for wholeness and the individuality of the mind are the ultimate tool for human progress. Self–awareness and self–understanding are cultivated in order to realise one’s true spiritual identity. In the meditative state, the self is experienced as conscious energy taking the form of a point of light. This spiritiiual energy, the soul, is experienced as both different and separate from the energy of the material body. The roles and interplay between mind, intellect and personality are understood through a process of self–observation. The meditator learns to quiet and control the mind, allowing the conscience to be clearly heard. Understanding the relationship between acquired values and innate values and between values and virtues is emphasised, along with the importance of reviewing and renewing one’s values at the deepest level of one’s life. Conscious awareness of the soul is thus developed, allowing full understanding of the self. -The two need to be displayed in such a way that their relationship to one another is emphasized. I had theoretical and visual inspirations for the realisation of my idea. Kandinsky’s art theory (The Blue Rider, Concerning the Spiritual in Art) is relevant to pretty much any piece I make because it well describes my creative process. 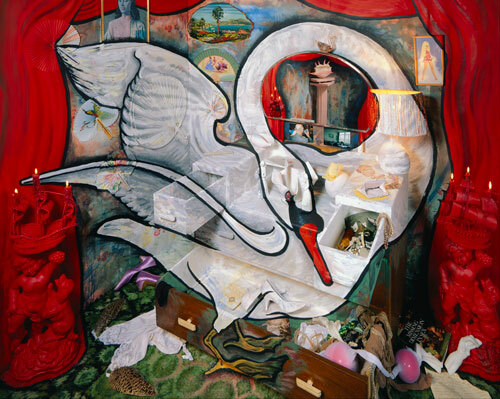 He believes that symbols arise from our subconscious that urge us to create. 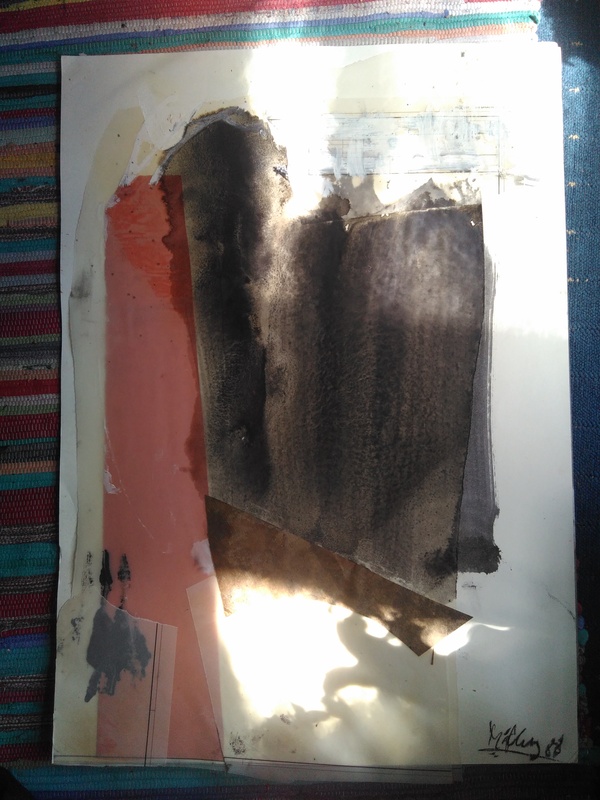 When we paint, sculpt or what ever art form we chose, we externalise those forms and therewith create physical equivalents of this inner yearning. An abstract, intangible concept turns into pieces of the material world. On February 22nd I wrote a statement explaining my intentions in this project. 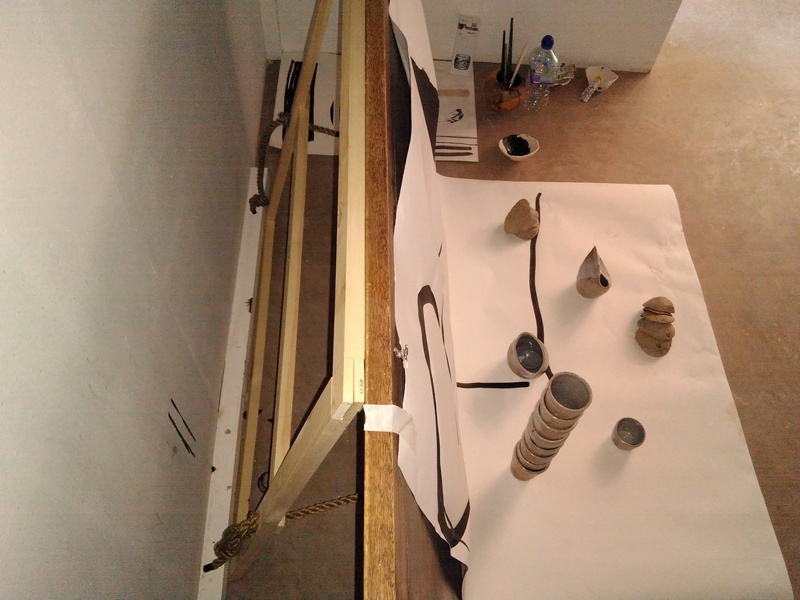 “The front of the sculpture: Ceramic vessels and abstract sculptures will be placed on top of the part of the paper that lies flat on the floor. They represent all the different situations, people, demands, pressures expectations etc. that affect us in daily life. As a whole the composition of all of the elements depicts our persona, our public personality that we present to the world. With closer inspection and contemplation the viewer will realise that the “persona” is made up of the things that represent different situations, people, demands, pressures expectations etc. What I am aiming to express by this is that the way we present ourselves to the world is shaped by the environment in which we live. We start to identify with the roles we are expected to take. People perceive us in a certain way. They reflect this image back to us and we then identify with other people’s impression of ourselves. If that is the case then we are more aware of our physical existence, than of the core of our selves, in which our actual identity and personality rests. This state of being is called Body awareness, or Ego awareness. The backside of the sculpture represents our subconscious and only one pot will be placed on the paper that is laid out on the floor. That pot symbolises the core of our self. The inside of the pot will be white, or yellow, a bright colour, that represents the light/energy that gives us the will to live, inspires our creativity and directs our drives. It is the real source of our individuality and personality. At that point I wanted to use wood, paper,paint, ceramics, glazes, on-glaze stains and also implement different lighting effects. Are all of the elements chosen in the best way? Unrealistic to paint with paint and get glazes the same colour. Solution: Using slips on bisque fired ware, on the wood and on the floor instead. No necessity for pot on other side. Looks weird. Solution: The front part of the installation can represent both the true nature of our selves (multifaceted) and the effects of the outside world. There is no need for a single pot on the other side to represent the self. Dinner set on shelf is less of a composition than other two arrangements. Solution: A couple of samples are enough to represent the whole dinner set (it’s about the meaning of it!). They shall be displayed on a table as it is more of a still life and the functionality of it is emphasised when it is placed on the table ready to be used. Paper is not used in composition no. 3 and elements should be the same. 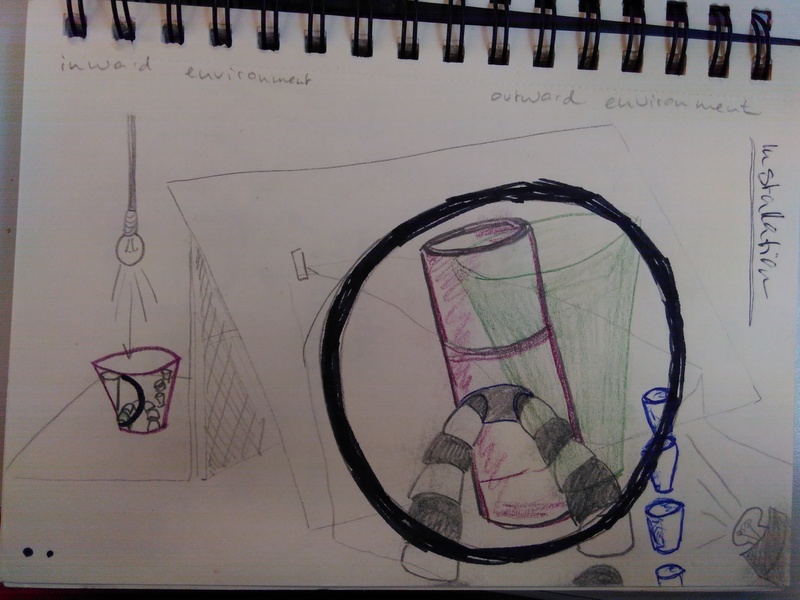 Solution: I wanted to use the same elements in Composition 2 and 3 in order to emphasise the difference on meaning just because the objects are arranged in different ways. As I had decided to use slip instead of paint I could paint directly on the floor rather than on a sheet of paper. What statements/symbolisms are inherent in the chosen materials/techniques? 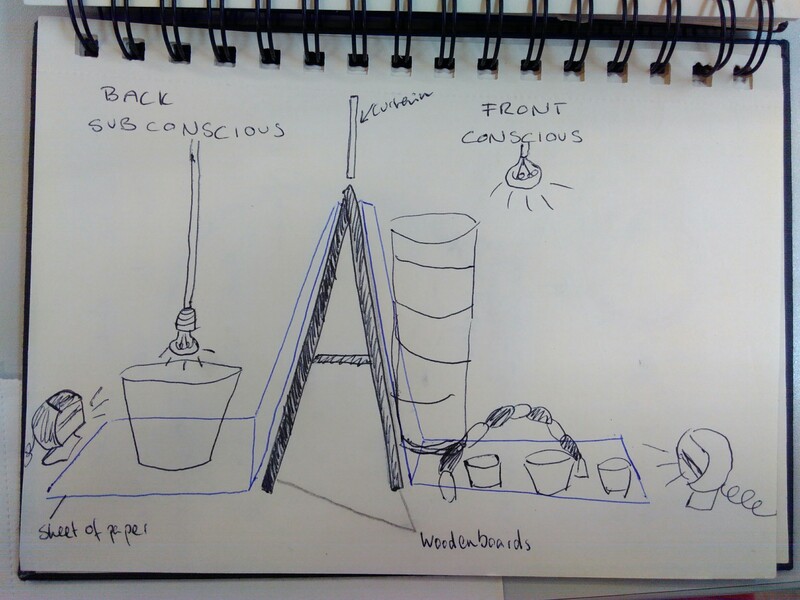 The three-dimensional pots in the conceptual installation represent the different roles we play, different situations we face, experiences that have shaped our thinking, our beliefs and fears. They represent our consciousness. The quantity of the pots is meant to show that personalities are not stagnant and unified, but built out of many elements. Yet the way we present ourselves gives a one-sided superficial image. Only a fragment of the whole is revealed. It is possible to use this to ones advantage when, for example in professional situations one needs to be versatile but only show one relevant aspect of oneself. This is represented by the image that is topically painted onto the installation. Conceptual meaning of Kiln bricks and way of setting it up: Architectural, relationship between the different elements-> integrity of self. “I am aiming to create an installation that deals with several concepts. The overall topics treated are identity, value and meaning. It’s first statement will be that the meaning of objects changes when they are placed in different contexts. In order to portray this I will make two identical dinner sets and display them in different ways. This ‘core installation’ seeks to address issues of identity loss. We lose track of what inspirations come from within because we concentrate too much on the signals and feedback we get from the outside world. We learn how to do things in ways that satisfy other people, confusing their gratification and pleasure for our own happiness. If someone is displeased with our performance we cannot separate and distinguish ourselves from the apparent failure. By placing familiar domestic items, like the dinner set, in various contexts the viewer is made aware of subsequent changes in its interpretation. Questions concerning the value and significance of the ceramic object are raised, offering a discourse concerning identity, the integrity of self, and the struggle to overcome superficiality in playing multiple roles. Through interpretation, we attach meaning to objects that can conflict with their original intent. In the same way, we assess the roles people take in life and assign to them certain characteristics. To identify too strongly with others’ reflections upon oneself, can bare the risk of dependence on their goodwill. When actions and decisions conceal the beliefs, qualities and conceptions of which they are the fruit, the integrity of these initial motivations is jeopardised. 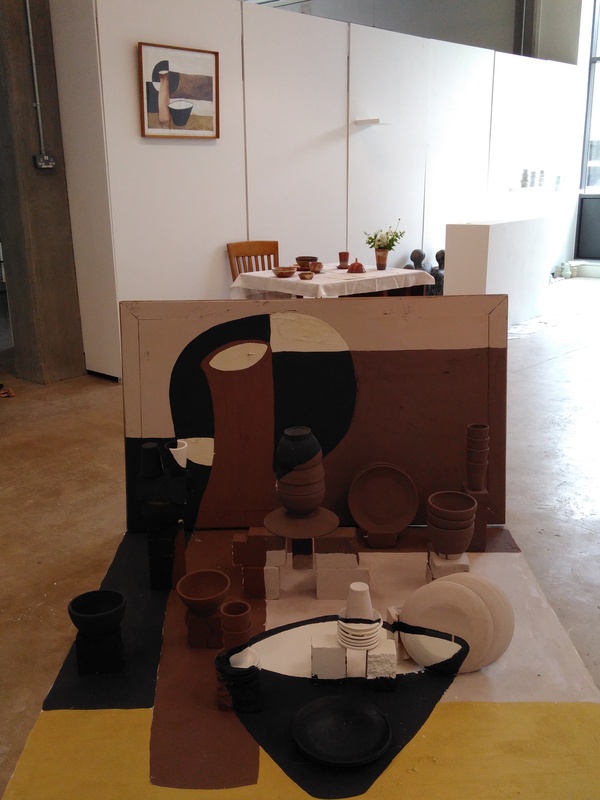 By raising questions about the significance of the ceramic object, the installation aims to provoke discussions on the quality and relevance of our perception and the integrity of our own self image. 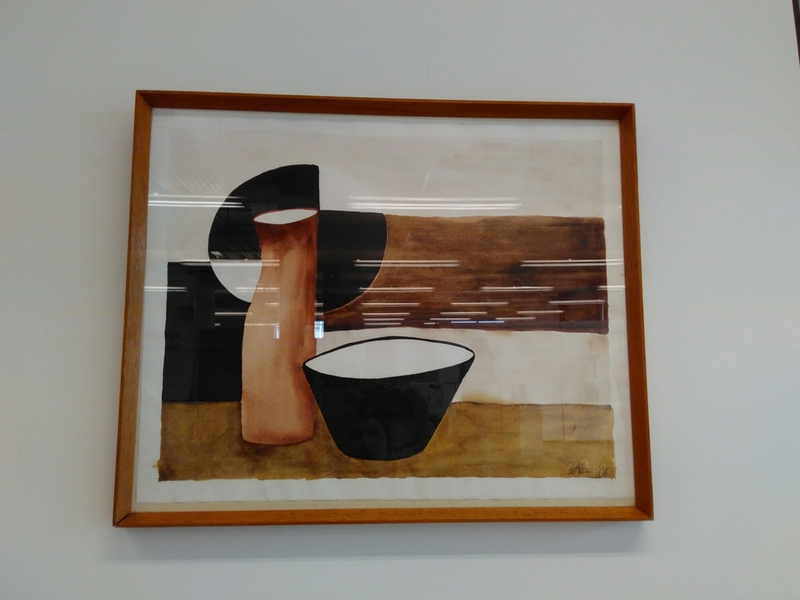 “By placing familiar domestic items, like the dinner set, in various contexts the viewer is made aware of subsequent changes in its interpretation. Questions concerning the value and significance of the ceramic object are raised, offering a discourse concerning identity, the integrity of self, and the struggle to overcome superficiality in playing multiple roles.